BIRMINGHAM, Mich., July 25, 2017 (GLOBE NEWSWIRE) -- Ready Capital Corporation, Michigan’s leading commercial bridge loan and workout lender, has hired industry veteran Jake Olsman to expand its advisory desk and manage its national market growth. Jake will now be a Director at Ready Capital after being a Vice President at Bloomfield Capital, commercial brokerage and valuation specialist at Friedman Real Estate Group, HVS, and Jones Lang Lasalle. 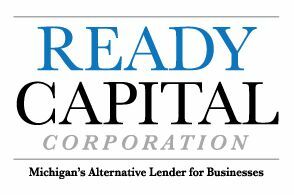 Ready Capital is a direct lender that is known for its timely execution of bridge mortgages and bridge capital to businesses throughout the Midwest. Ready Capital works directly with CPA’s, Attorneys, Workout and Turnaround Firms, Bankers, and Real Estate and Finance professionals to provide timely capital to their clients.